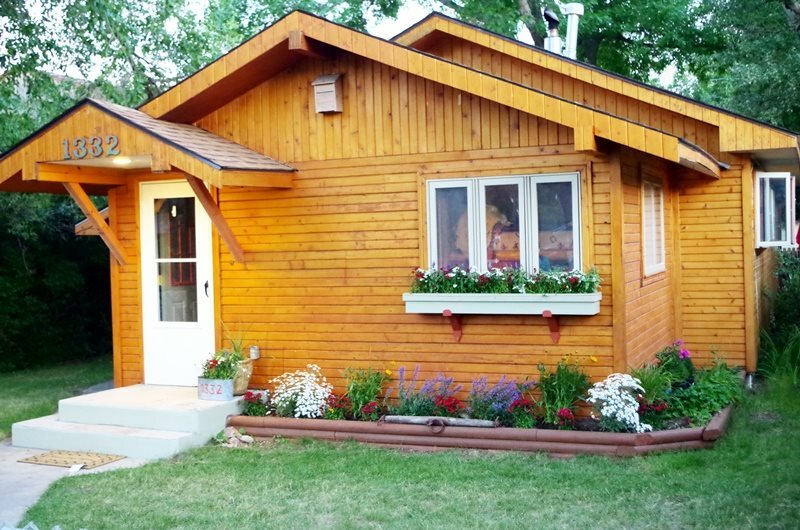 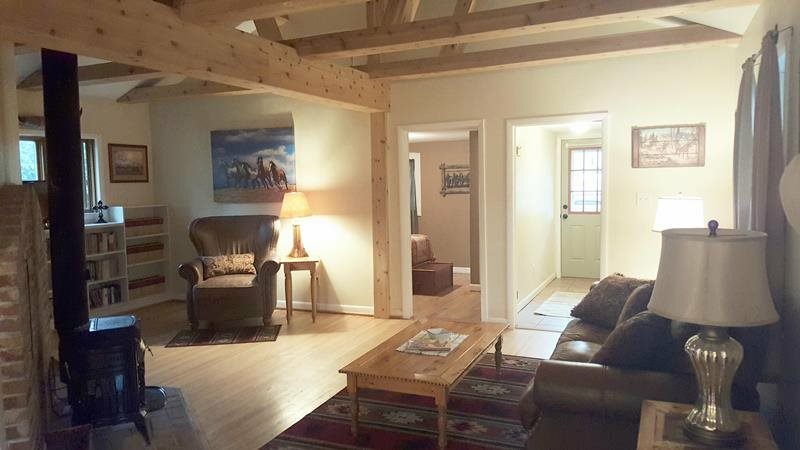 Rustic Retreat within walking distance of downtown Cody! 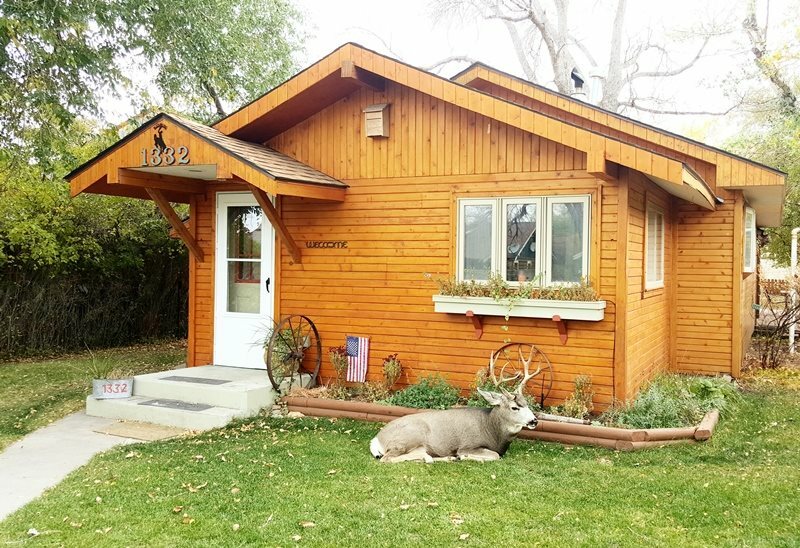 Nestled in the heart of Cody this rustic retreat is within easy walking distance to downtown yet tucked away in a quiet neighborhood. 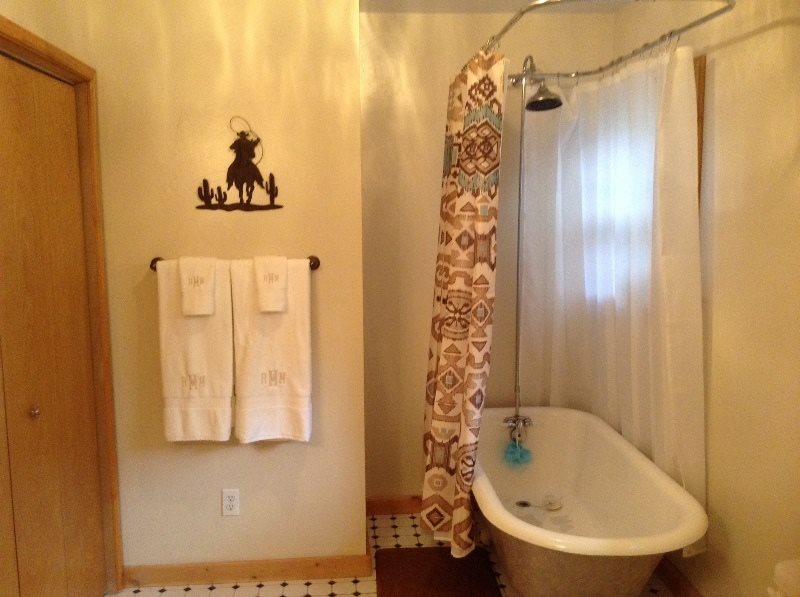 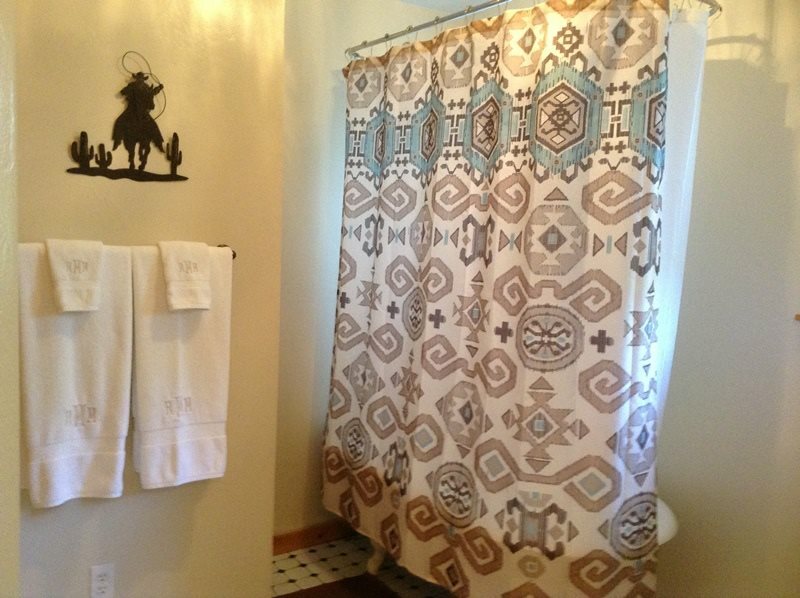 This home is tastefully decorated to convey an authentic western experience. 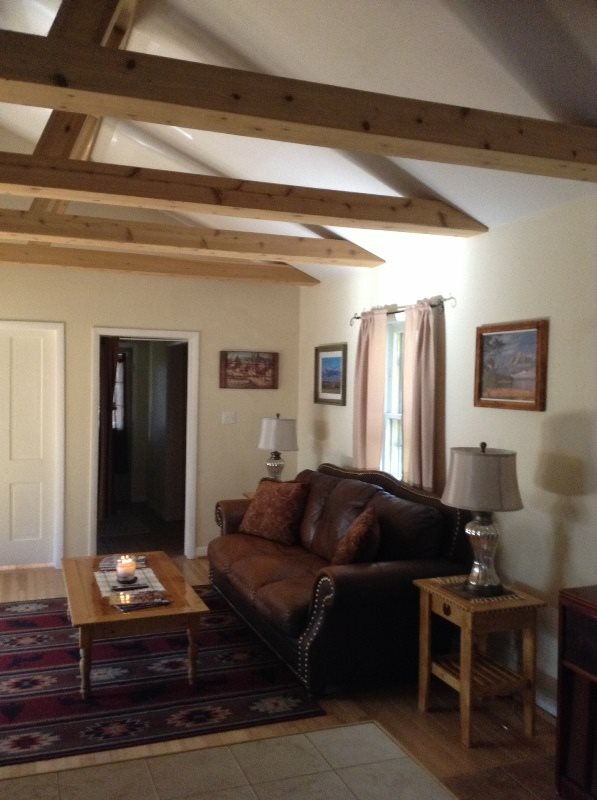 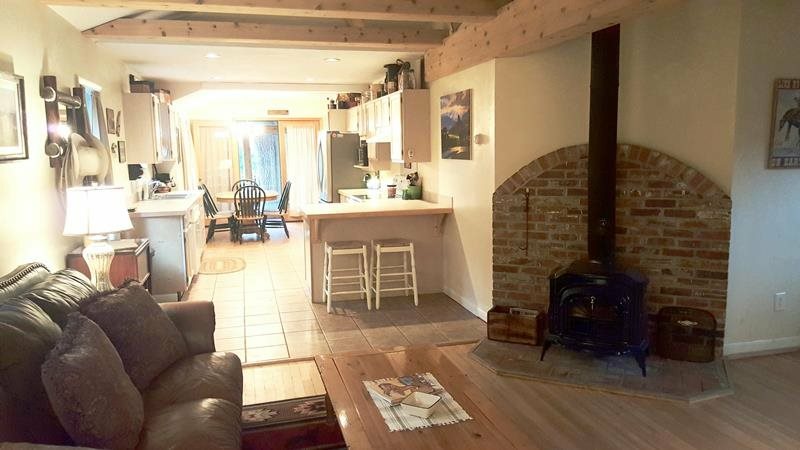 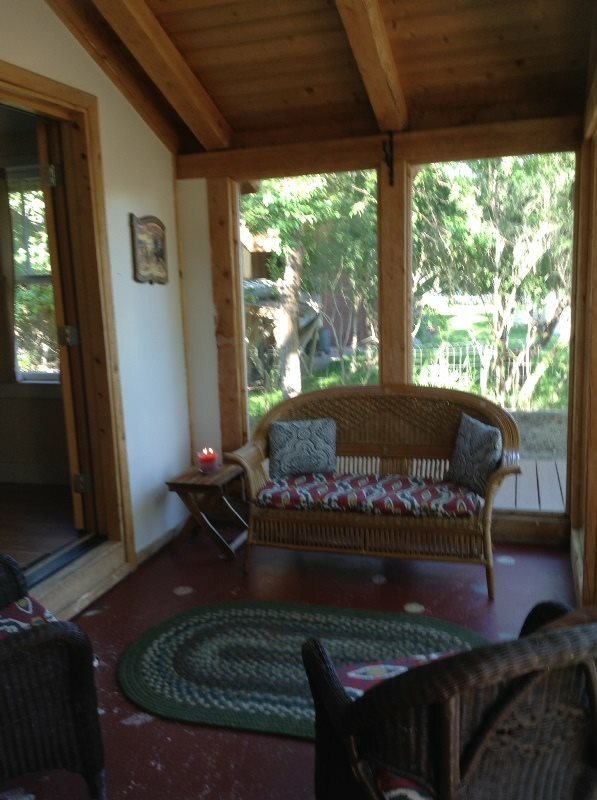 Our home features a spacious open beam living room with leather furniture and a wood stove for those cooler evenings. 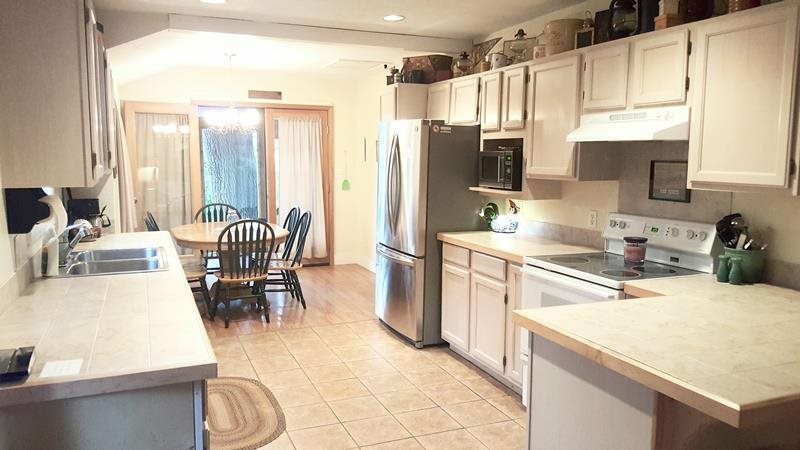 The kitchen is open and fully furnished to accommodate all your cooking needs. 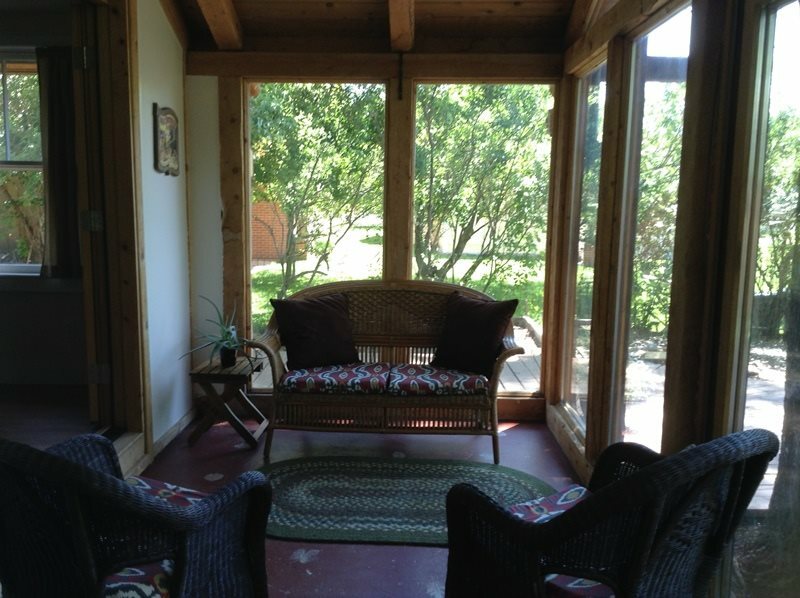 Enjoy your morning coffee in our cheery four seasons sunroom before heading out to explore all that Cody has to offer. 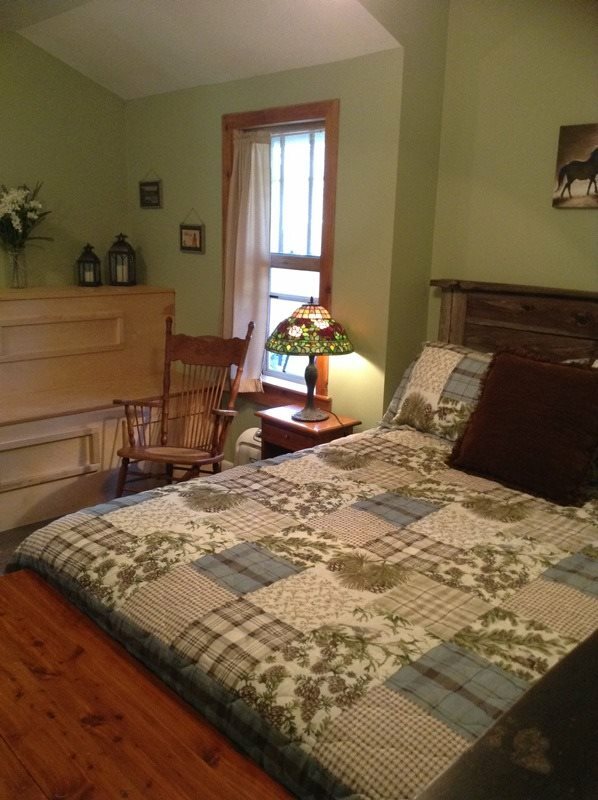 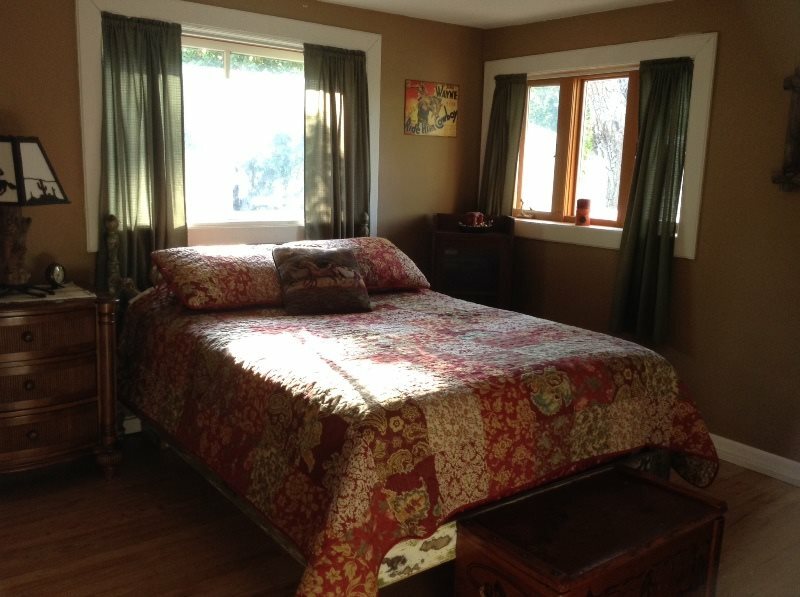 The home also features two charming bedrooms to comfortably accommodate four adults. 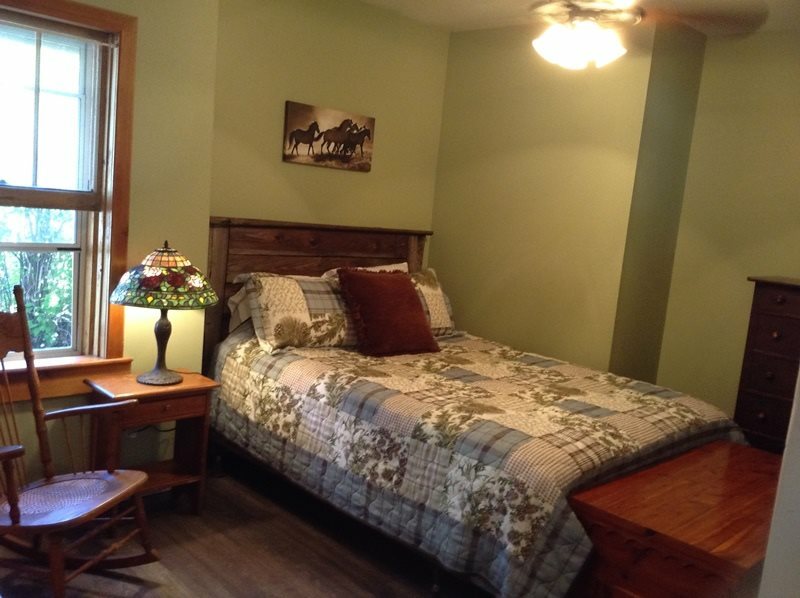 There is an air mattress available for additional guests at the Cody Lodging Company office. 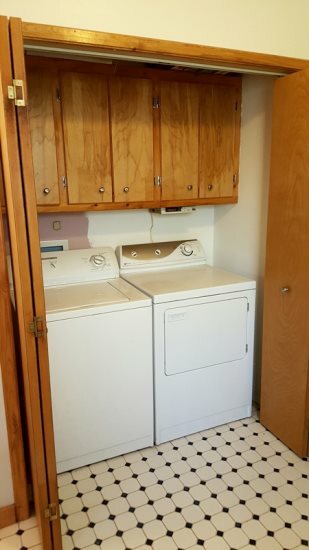 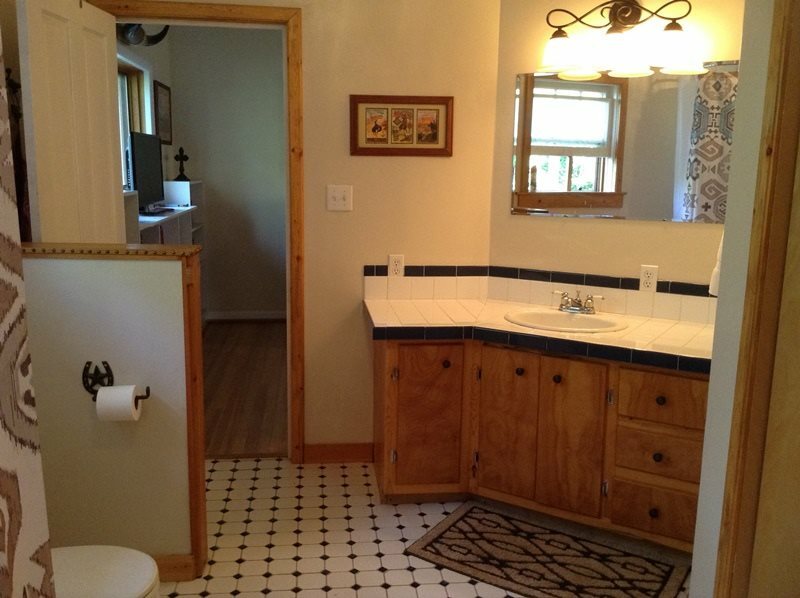 The bathroom is very roomy with a washer and dryer for your convenience. 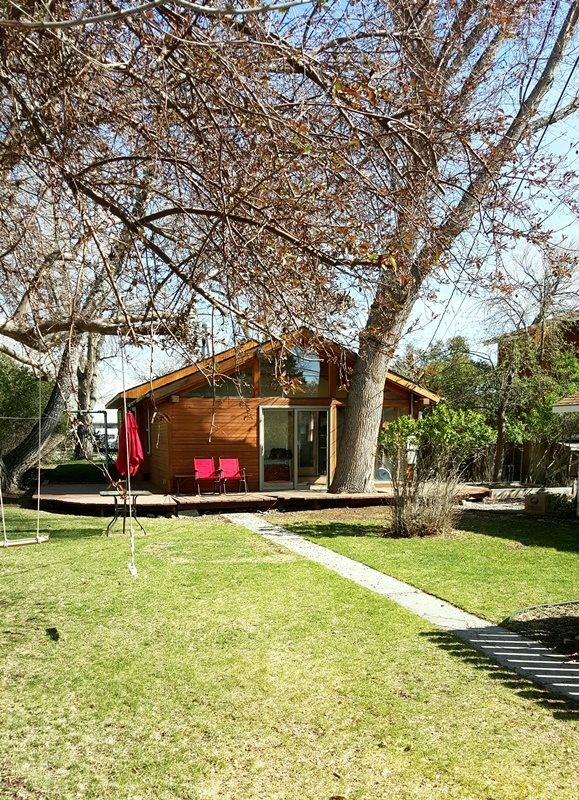 Fenced backyard with fire pit, grill, and outdoor furniture allow you to enjoy the evenings outside as you listen to the nightly gunfight going on at the Irma.